Guggal-Lip™ by Ayush Herbs is a natural supplement that seeks to provide ayurvedic support for normal digestive metabolism, cardiovascular health and thyroid function. Ayush Herbs combines Commiphora mukul (guggul) and triphala with vitamin B6, folic acid and magnesium to make its Guggal-Lip supplement. Guggul is the term for the resin that is formed from the guggul tree's sap. It has thousands of years of use in ayurvedic medicine as a way to kindle the digestive fire (agni). 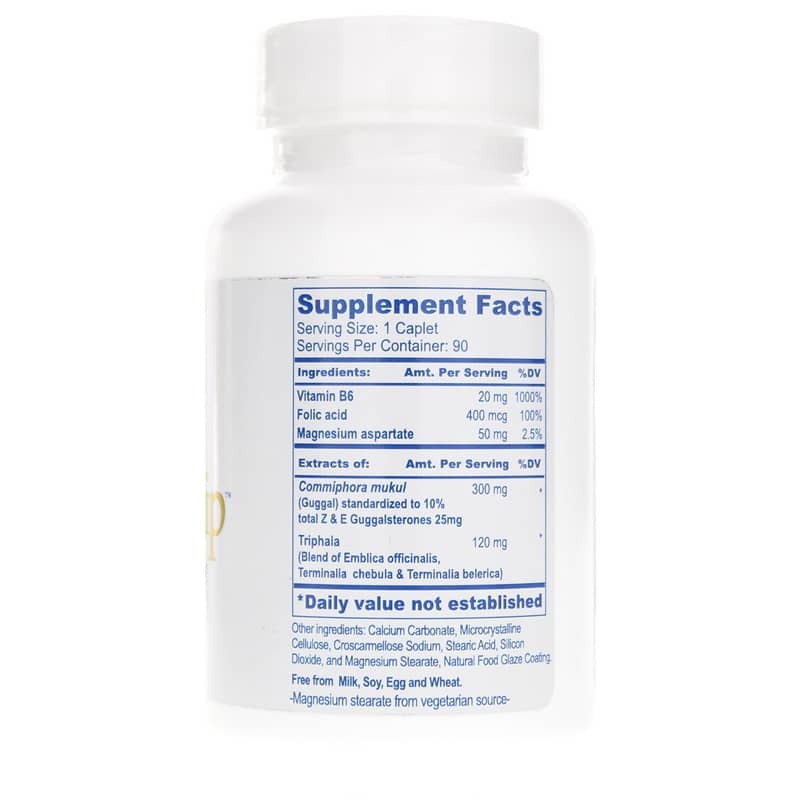 This formula seeks to support normal metabolism, healthy weight management, digestive health, the immune system, healthy cholesterol levels already within the normal range and more. 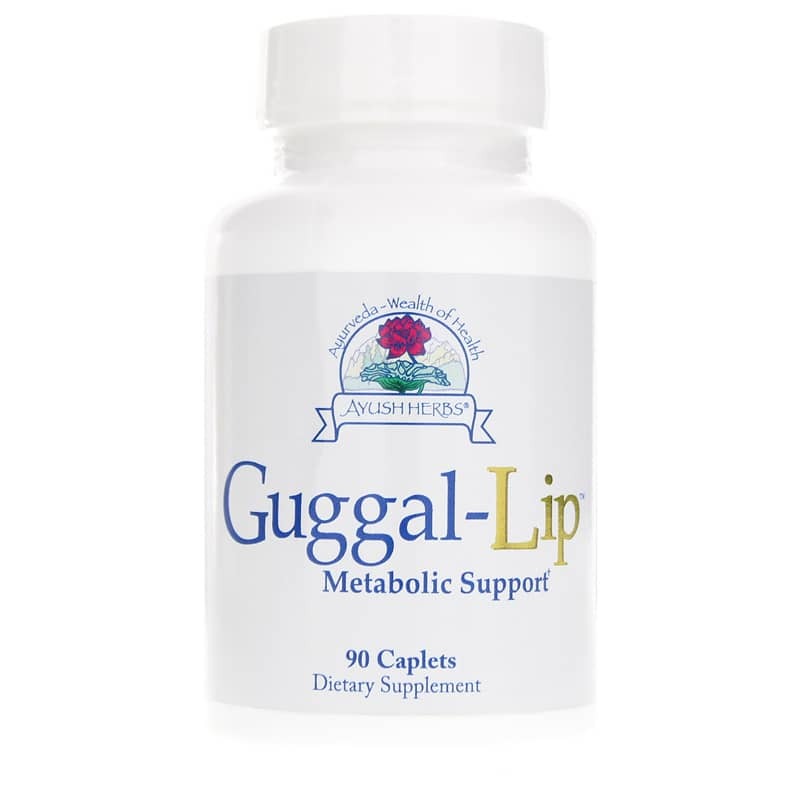 If you're looking for an herbal supplement to support your metabolism and digestive health, consider Guggal-Lip. Experience the potential benefits for yourself! Other Ingredients: calcium carbonate, microcrystalline cellulose, croscarmellose sodium, stearic acid, silicon dioxide, magnesium stearate (vegetarian source), natural food glaze coating. 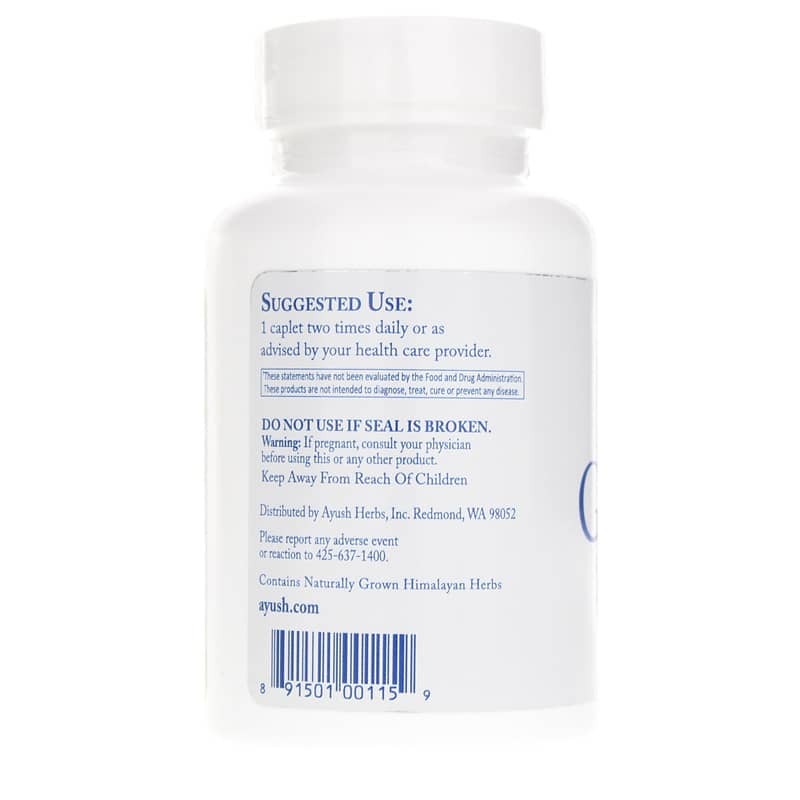 Adults: Take 1 caplet 2 times daily or as recommended by a healthcare professional.